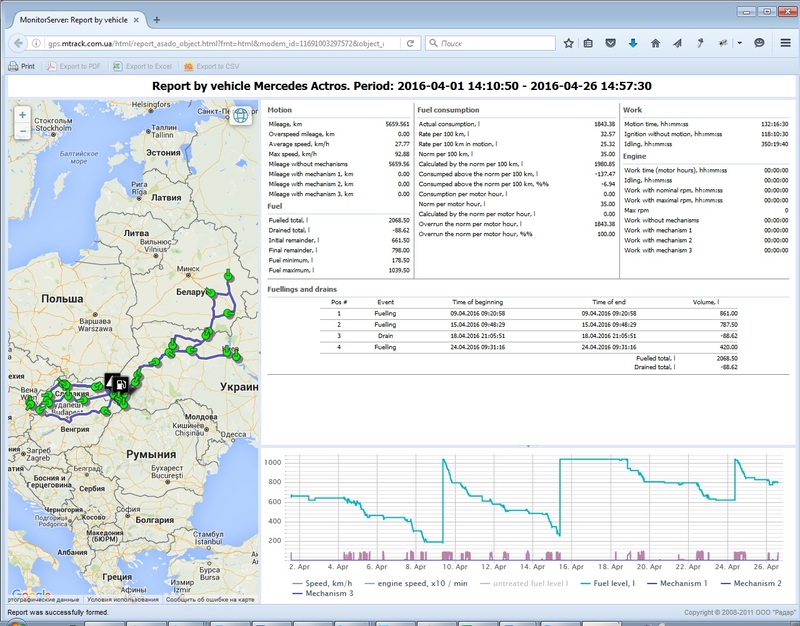 This solution is useful for companies with fleet vehicles, interested in elimination of fuel thefts by their drivers. In general case the FMS controller installed inside the vehicle keeps track over the vehicle's sensors and registrates any changes of fuel level into the vehicle's fuel tank. Registered data together with GPS location of the vehicle is sent to server, where it is stored. 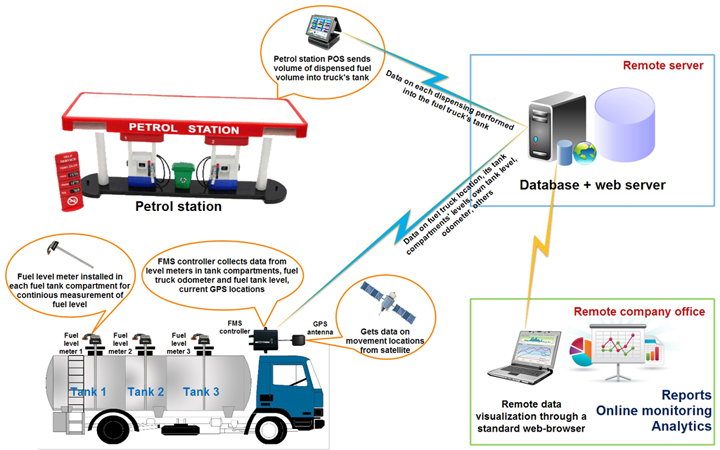 Together with it optionally the POS system dispensing fuel into the vehicle's tank identifies the vehicle and saves the amount of fuel dispensed into the vehicle to the central server. Thus the central server has information regarding the fuel level changes in the vehicle tank, average fuel consumption on each of the vechile routes and also amount of fuel dispensed into the vehicle's tank. 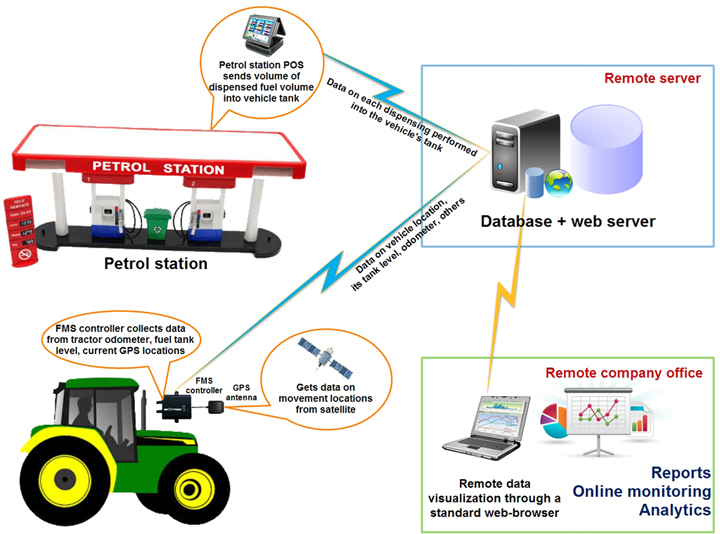 Thus having this information the system generates reports indicating when and what places on the map the unauthorized getting of fuel out of vehicle's tank were performed. Also it indicates the routes where the fuel consumption of the vehicle was much more then average fuel consumption (which is most likely a fuel theft). 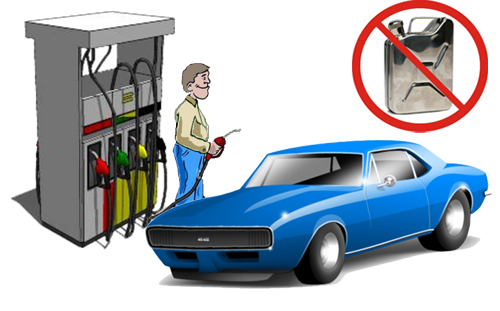 Also the system allows to detect the fuel thefts when some of the fuel was delivered not in the vehicle tank during dispensing of fuel into vehicle on petrol station based on information received from POS system servicing the dispensing and also the level of fuel changing inside the vehicle tank during the dispensing. In addition to described above the system allows to keep track over the fuel truck's tank compartments for any changes of fuel inside them and store all the data on changes on the central server. 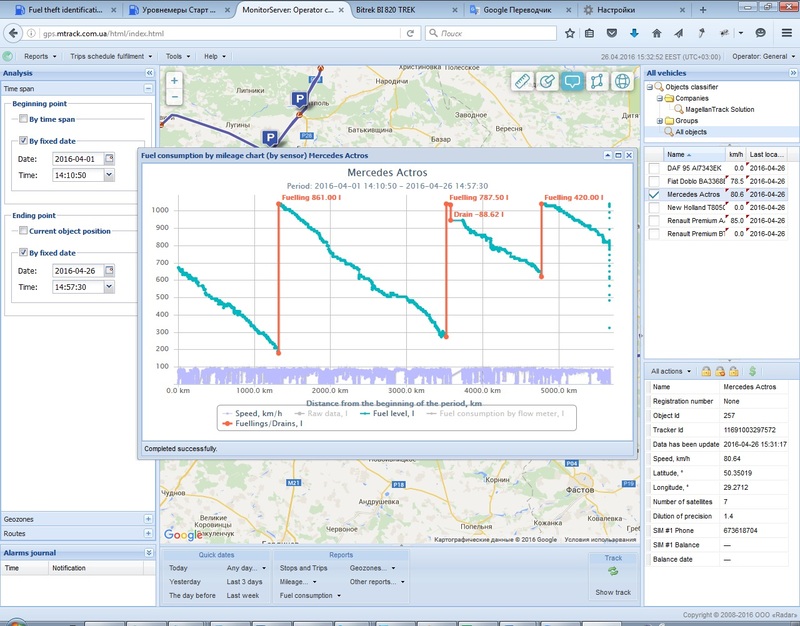 Thus it is possible to generate reports and see when and what places on the map there were changes of fuel level inside the tank compartments.